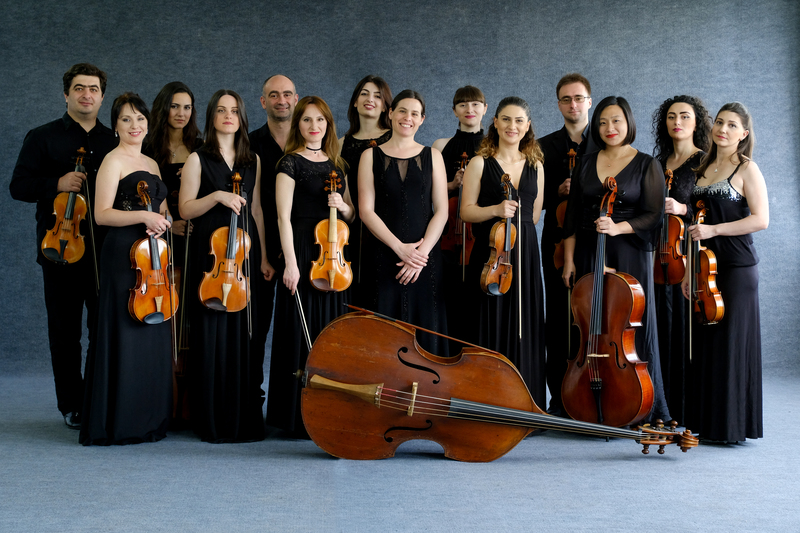 Founded in 2008, Tbilisi State Chamber Orchestra – Georgian Sinfonietta aims to deliver most diverse repertoire at the highest artistic level. The schedule of the orchestra includes performances both in Georgia and Europe, as well as regions of Georgia, where the popularization of chamber music has been a great success. Georgian Sinfonietta has performed in celebrated venues such as Konzerthaus Berlin, Concertgebouw Amsterdam; and is a regular guest to festivals including „Autumn Tbilisi”, Tbilisi Wind Festival, Tbilisi Chamber Music Festival, Telavi International Music Festival, Opernfestival Gut Immling, “Goldberg Festival” of Gdansk (Poland) and others. Since the acquisition of period instruments in 2012, the orchestra pioneers historically informed performances in Caucasus. In 2015, the orchestra founded Tbilisi Baroque Festival, which will be held annually. Sinfonietta has collaborated with C. Busch, C. Mayer, J. Savall, S. Azzolini, J. Rondeau, D. Amadio, C. von Kerssenbrock, among others. Within the framework of “Frankfurter Buchmesse 2018”, on 17th of August at Berlin Konzerthaus by the festival “Young Euro Classic” was held chamber and electronic music concert where participated “Georgian Sinfonietta”, Dudana Mazmanishvili (piano), Kristjan Järvi (conductor) and DJ – Irakli Kiziria. On 7th September, 2018 International Music Festival “Autumn Tbilisi” opened the concert dedicated to the 10th Anniversary of “Georgian Sinfonietta”. The participants were: Marc Hantaï (flute I), Yi-Fen Chen (flute II), Patrick Beaugiraud (oboe I), Alessandro Pique (oboe II), Joaquim Guerra (bassoon), Josep Maria Martí (theorbo), Daniel Garay (percussion) and the conductor was world renown Jordi Savall.